The gloves worn by Const. 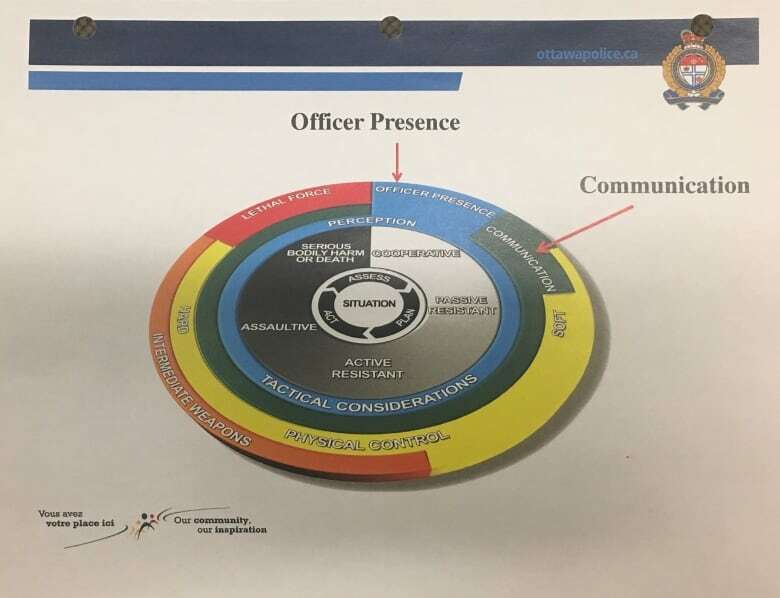 Daniel Montsion the day of his fatal confrontation with Abdirahman Abdi are not among the approved weapons used by Ottawa police officers, an Ottawa court heard Monday. The gloves, which have reinforced knuckles, are at the centre of the assault with a weapon charge against Montsion, who has also pleaded not guilty to manslaughter and aggravated assault in Abdi's death. Montsion punched Abdi repeatedly with the Oakley assault gloves while arresting him on July 24, 2016. By the end of the altercation Abdi was without vital signs, and was declared dead in hospital the following day. All sworn police officers in Ontario are authorized to carry a firearm, pepper spray, a baton and a Taser, according to former Toronto deputy police chief Michael Federico, an expert in the use of force by police. Some units use more specialized items, Federico said, but none list reinforced gloves as weapons. There are what Federico called "impromptu weapons," which could include anything from a pen to a chair leg — practically any item a disarmed officer may use in a pinch. The officer would still have to justify their actions after the fact, Federico said. The Crown had planned to show Montsion's gloves to Federico to ask what kind of weapon they are, but the defence strongly objected. "These are not weapons," Montsion's lawyer, Michael Edelson, insisted. The Crown did not ask Federico to comment on the circumstances surrounding Montsion's actions. 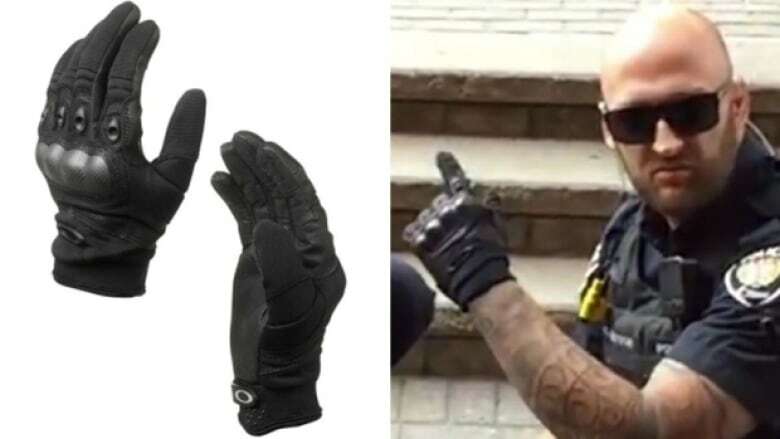 Following Abdi's death, Ottawa police Chief Charles Bordeleau called for an audit of all gloves worn by sworn officers. The results of that audit have not been publicly released, but have been obtained by the Special Investigations Unit, which is probing the incident. The Crown is expected to call an expert on Ottawa police procurement policies later in the trial. The correct response by a police officer facing a threatening situation is subjective, but their top priority should be to protect life, Federico told the court. That applies to the life of the suspect, the public and the officer in question. "Police officers have authority to use as much force as necessary to carry out their duty," Federico said, but there are caveats: "It has to be reasonable, it has to be necessary." Police officers undergo use of force training annually. While the training doesn't necessarily prescribe a specific level of force for specific situations, officers are reminded force should only be used in the face of an immediate threat. Instead, officers are taught to try to deescalate a situation to avoid the use of force altogether, Federico said. If it does come to blows, police officers are taught to avoid landing punches or kicks to the head and groin, he said. Federico's testimony is expected to continue for another day before Montsion's lawyers can cross-examine him.